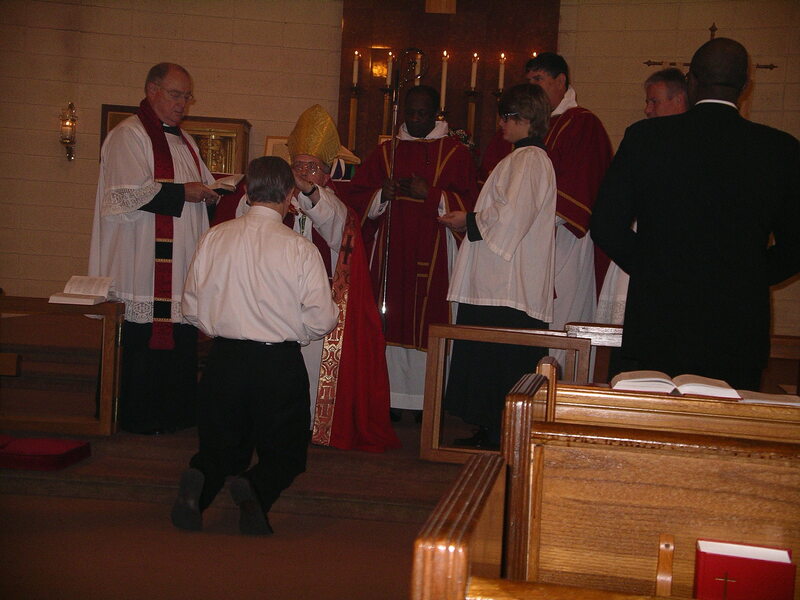 Confirmation is always set in the context of the Baptism which the Anglican Catholic Church understands to be full and complete initiation into the Body of Christ. In the sacramental rite of Confirmation, one publicly affirms one’s faith in Christ, commitment to the Church, and acceptance of responsibilities of the Baptismal Covenant. Through the laying on of hands by the Bishop, the confirmands continued baptized life and ministry is put in relationship with the ministry of Christ’s apostles. The Church expects those who are baptized at an early age to make this public and mature affirmation and renewal. In order to assist those who intend to do so, the Church expects that confirmands will be prepared for this rite through a course of study. Additionally, The Anglican Catholic Church acknowledges our lives and faith change over time. Those who come to our parish having been confirmed in other traditions are “Received” into our church following the same preparation and in the same worship setting. Our classes are offered anytime someone requests a preparation before our Diocesan Bishop’s visitation.